Learning how to make money blogging appears to be a great way to relax and write about your passions and make more money online blogging at home. 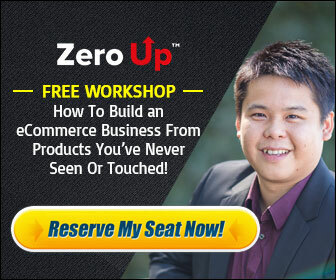 Top Internet Marketing Bloggers like John Chow makes a a six figure income monthly from his blog. His blog is one of the biggest and most successful blogs on the internet, which has over 200,000 active readers daily. However in reality it is not as easy as how it sounds. To become a successful blogger it requires a lot of time an effort into your blog. Here are several tips to get you on the right track. If you want a lot of visitors to your Blog you will have to let people know it exists. You need to promote your Blog by sharing it on social media platforms like Facebook and Twitter. You can also place adverts in your local newspaper or magazines, but most importantly is the use of word of mouth advertising. The more you share your blog with your friends and associates, and they in turn re-share it, means more persons being aware of your blog. While getting traffic to your blog is very important, the quality of the content of the of our blog too is of utmost importance. Make sure that you put some effort in the creation of your Blog content and you should vary the topics as much as possible. No one wants to read about the same things over and over again. Blogs that attract a lot of readers tends to be the ones that are controversial and have some sense of humor. The top blogs usually invite guest writers to contribute articles to there blogs which is a good thing as this gives a different point of view about a particular topic. It is very important to include graphics (SUCH AS INFO-GRAPHICS) and images in your blog posts as research has shown that doing so keeps your readers visually interested. In fact it adding info-graphics to one’s blog is now the new normal as these are visually stimulating shared regularly on social media and are popular with search engines. Imagine an info-graphic image on your blog being tweeted, shared and liked on platforms like Twitter and Facebook. That means hundreds if not thousands of visitors to your blog. You will need a constant stream of repeat visitors to your blog to be successful, and this is one of the best methods to ensure you will get them. When you have repeat visitors to your blog they will have various opinions about the content of your blog. It is very important to get there feedback, that is why the comments section at the end of your blog content is very important. That is the only way you will find out what your readers think about your Blog content. Blog comments serves 2 purposes. Firstly it enables you to improve your future content based upon the feedback from your readers. Secondly regular interactions with your readers makes them feel a part of your group and gives them the impression that they are communicating with a real person and not a spam blog. After you have created a great Blog and are receiving tons of readers, then you can proceed to making money from you blog from advertisements. You can put advertisement banners on your blog to earn commissions or you can sell advertisement space to individuals or companies. However while this is an important step to make a steady stream of income, you certainly do not want to swarm your blog with lots of advertisement banners. Most people go for the overkill by flooding there blogs with banners, but doing so will make your blog look like a spam website. As a result this will drive people away from your blog. If you have a product you have created, setting up a blog is also a great way to promote it. Blogging about a niche and informing people through your blog usually results in greater conversions and more income earned. However make sure to keep your blog content relevant to the products you are promoting. For example you will not want to be advertising golf products on a weight loss blog. It is quite unlikely that persons searching for weight loss info will want to buy golf products. 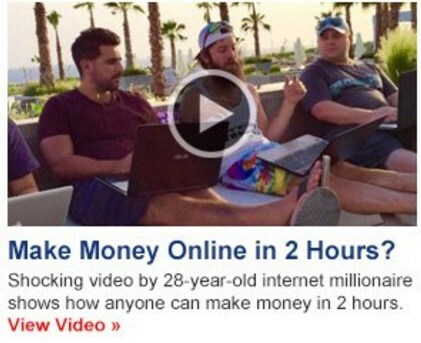 While Blogging will not make you an instant millionaire, it can be a way to earn some additional streams of income. If you follow the tips listed in this article the greater your chances will be to Make Money Blogging Online. If you want more Expert tips about How To Make Money Blogging CLICK HERE NOW!